Skydroid is an UAV Company, offering market leading UAV solutions, data analytics, consultancy and training. UAVs are the ideal platform for lower cost, more detailed, aerial data capture. Skydroid’s UAVs have on-board intelligence which makes flying much easier and adapts the flight path to take account of weather conditions, with the pilot on the ground only needing to take control by exception. 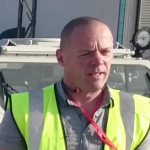 Skydroid’s UAV capability puts as much emphasis on the data generated to enable accurate decision making, as it does on the reliability of the UAV. 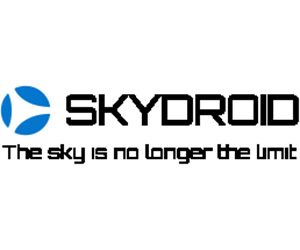 The Skydroid offer includes the real time transmission of the data to cloud based storage where the captured data is stitched together into a fully interactive orthomosaic image and analysed to provide an immediate and useable output on any internet-connected device or screen. It is then very easy to apply different analytics to the viewed data to gain different insights; or compare the data with historical versions, or re-task the UAV on the fly to capture additional data, or indeed use the data as is to task operational assets to the areas of interest identified. Additionally the UAV can quickly be recovered and reconfigured with an alternative sensor (multispectral, thermal, LiDAR) to add additional depth to the data acquired. Skydroid integrates these high value tools into your existing operational model and workflow. Skydroid can also provide low cost consultancy support to help commercial organisations assess the potential benefits versus costs of incorporating UAVS into their operational activities.